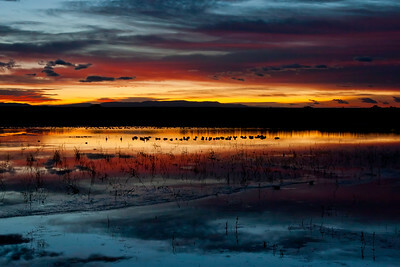 Sunrise symphony over the Rio Grande, as performed by 10,000 snow geese. 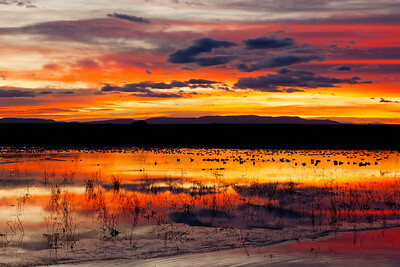 There’s something magical to the pre-dawn along the Rio Grande in Bosque del Apache National Wildlife Refuge, where thousands of Snow Geese take to the skies in one cacophonous mass. 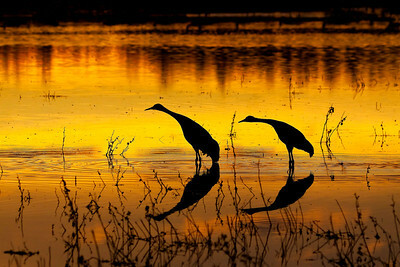 Along with them are hundreds of Sandhill Cranes like these two, patiently waiting for their clearance to take off. 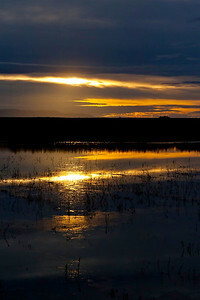 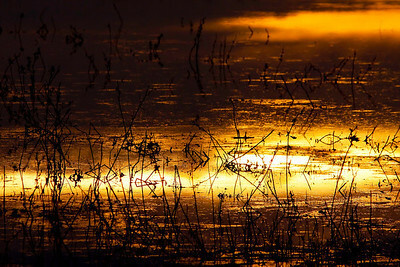 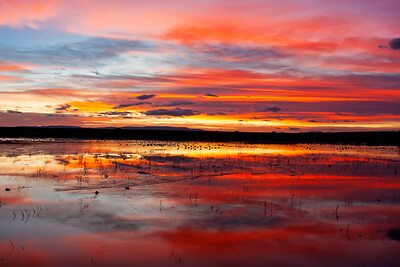 Liquid sunrise over the Bosque del Apache National Wildlife Refuge in New Mexico.